With the honour of hosting a baby shower next week, I decided to be organised and do a little "trial" cooking. 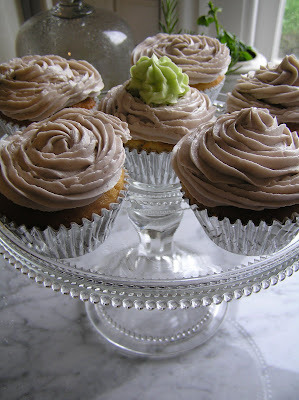 Firstly, cupcakes are a must at a baby shower. We experimented with colours and piping. The vintage glass cake stand above is Mum's which I have borrowed (I am not wanting to give it up though!). I have also found a few cake stands at the store which I will use on the day. 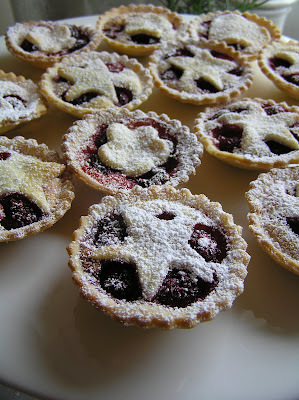 We also made some little bite sized raspberry and frangipane tarts. 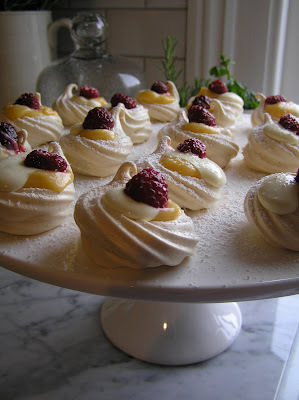 These little custard meringues with lemon curd filling are gorgeous...they taste as good as they look! 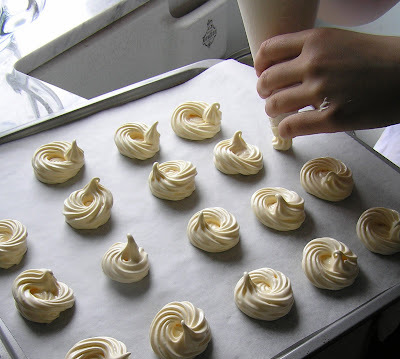 A wonderful friend helping me to cook today found the recipe for these meringues. We were going to buy the lemon curd but we decided to make it ourselves and were surprised how easy (any delicious!) it was. We made some extra because it keeps in a sterilised jar for up to two weeks. The custard flavoured meringues were piped onto trays before being cooked in a slow oven. wow guys, the food looks amazing! can't wait to sample it next week at the shower!! Yum - everything looks amazing!! Nice try Tracey, but we had plenty of volunteer taste testers! You are so organised, which is wonderful!!! Everything looks so beautiful. 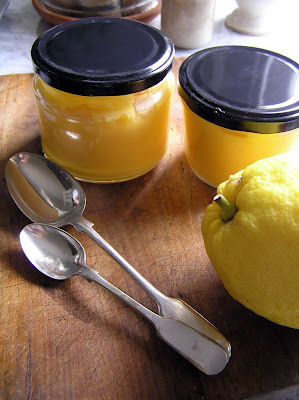 I have read about lemon curd, but have never made it myself, or tasted it for that matter. I'm sure the baby shower will go off well and everyone will enjoy themselves. Keep us posted Tammy. Enjoy your weekend. It is so hot here today. Nearly 25....actually it's the humidity more than anything which is energy zapping....will call in again soon. I'm back again....hatstands, oh sorry 'bout that I meant to say hat BLOCKS!!!! The heat is going to my head!!!!! !